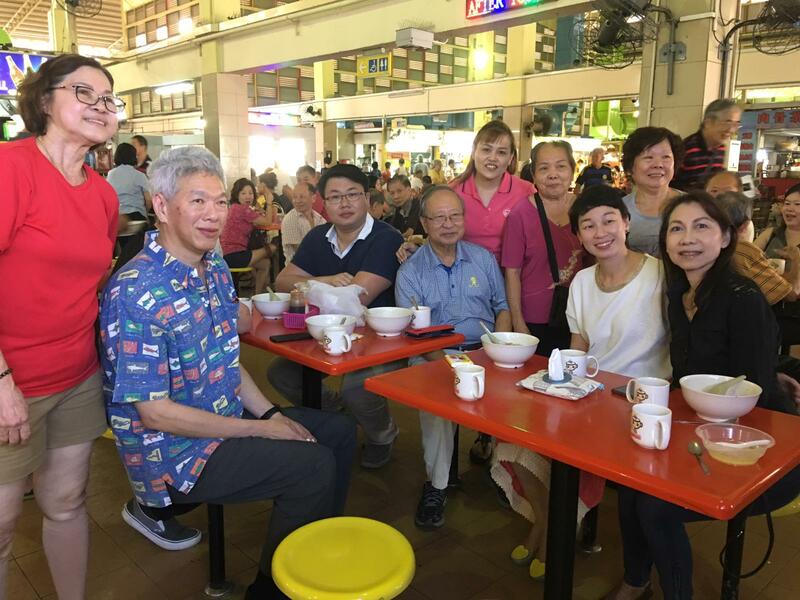 Founding Prime Minister Lee Kuan Yew’s youngest son and current Prime Minister Lee Hsien Loong’s younger brother, Lee Hsien Yang, met up with former presidential candidate Dr Tan Cheng Bock for breakfast this morning, at the famous hawker centre at Blk 726 West Coast Market. “This morning I had breakfast with Lee Hsien Yang. We wanted to catch up with each other as we have not met for quite a while. Instead of some fancy restaurant, I suggested we go to West Coast Food Centre at Block 726 Clementi West. 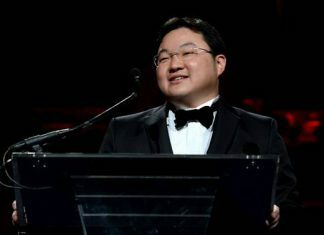 Hsien Yang was all for it. He missed our local hawker fare in the heartlands. We had porridge & coffee with yu tiao. It was a good breakfast, not only the food, but the sharing we had on world affairs and the current state of politics in Singapore. The meeting comes months after a meeting in which Dr Tan was invited by several members of the opposition in Singapore to unite the various opposition parties and lead them to victory against the PAP during the next election. Seven opposition parties in Singapore came together in July and discussed forming a new coalition and having Dr Tan as their leader. The parties are the Singapore Democratic Party, the National Solidarity Party, the People’s Power Party, the Democratic Progressive Party, the Reform Party, and the yet-to-be-registered People’s Voice. The meeting of the seven parties, organised by the SDP, came on the heels of another SDP-organised meeting where several opposition parties came together to hear Malaysian politician Chua Tian Chang speak about how the opposition coalition Pakatan Harapan achieved their historic victory in the polls across the causeway during the watershed 2018 Malaysian General Election. In May, former Malaysian Prime Minister Dr Mahathir Mohamad left the ruling party to band the opposition in Malaysia together. The opposition coalition soundly defeated the ruling coalition and toppled Dr Mahathir’s former protege Najib Razak who now faces corruption charges over the 1MDB scandal. Calls for Dr Tan Cheng Bock to “do a Mahathir” resounded after the Malaysian Election. Although Dr Tan was present at the meeting with the 7 opposition parties as an observer, he has yet to give a direct answer on whether he will or won’t accept the invitation to lead an opposition coalition. “I think I must help but in what capacity, I have not decided. “I am now 78 years old. I may only have a short time to mentor a team to work for the good of the nation. This is a small window of opportunity, a moment for ubah (change in Malay). I want to put my last years to good use. I want to pass all that I have acquired and learned in the political arena to the next generation. Calls for Lee Hsien Yang to go against his brother, the head of Government, in politics also resounded last year when Lee and his elder sister, Lee Wei Ling, accused their elder brother of trying to preserve their home at 38 Oxley Road against their father’s last wishes, after his death. Arguing that the late Lee Kuan Yew wished to have the house demolished, the younger Lee siblings alleged that PM Lee was trying to use the house to solidify his grip on power and that he used state organs to silence them. The siblings finally agreed to a ceasefire after the explosive allegations gripped the nation, although Lee Hsien Yang’s son Li Shengwu is presently being sued by the authorities for remarks he made about the Singapore courts, in a private “friends only” Facebook post in which he shared a link to a report about the Oxley Road dispute.